At 331 kilometres in length, the timed special on day three was always going to be demanding. Starting at sea level and climbing to an altitude of over 2,000 metres, the stage tested the riders to their limits. 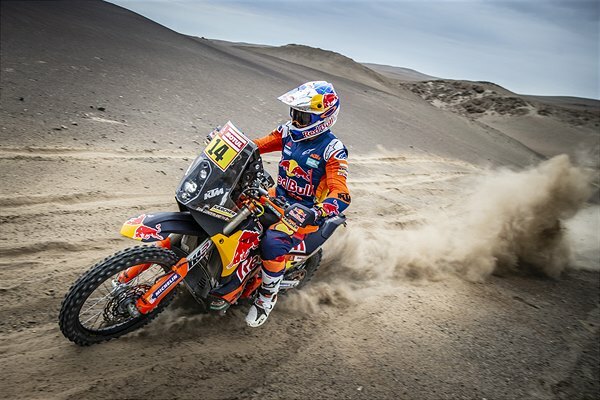 Not only was the mixture of sand dunes and river beds physically tiring for competitors, tricky navigation and fog encountered on the highest sections of the stage also made the day mentally exhausting. The sixth rider to enter the timed special, Sam Sunderland had a solid start to the day, riding consistently and navigating well. After clearing the fog-covered mountain section the Brit was able to push on a little harder to complete the day in fifth - one place up from his start position. 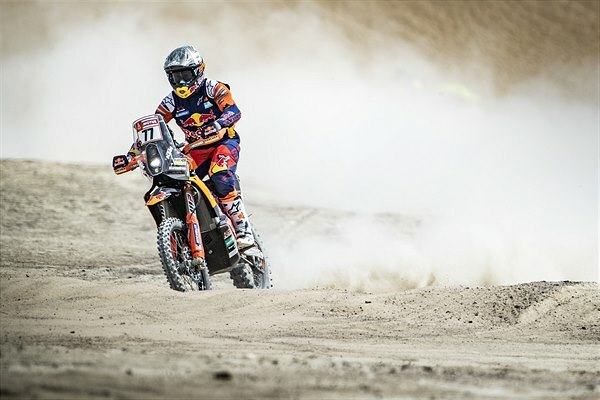 Stage three was an eventful one for Red Bull KTM Factory Racing rider Luciano Benavides. Having to refocus after stopping to assist an injured competitor, the young Argentinian put in his best ride of the rally so far, posting the 14th fastest time on the challenging stage. 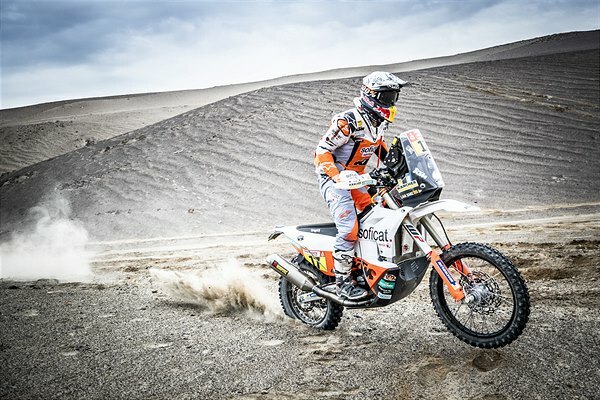 Opening a stage is always tricky and Matthias Walkner had that honour on stage three, entering the timed special at just after 6am this morning. Riding well for the first part of the route, a crash ended up costing the Austrian some time. Despite navigation proving to be the toughest yet in this year’s event, Walkner regained his composure to place 15th on the day and now lies eighth overall. KTM Factory Racing riders Laia Sanz and Mario Patrao both enjoyed a strong day, despite the challenges of the weather and navigation. With Sanz finishing in 21st position and Patrao just two places behind in 23rd, the two now sit just inside the top-20 in the overall standings.